A complete mailroom solution with 99.3% uptime. 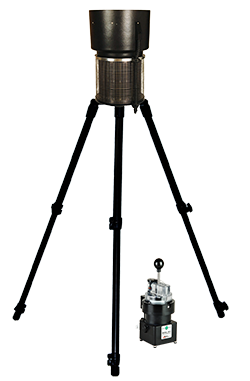 The ASAP II collection/detection system continuously monitors for the presence of aerosol biohazards and will identify biological agents ranging from protein toxins to whole cells and spores as frequently as every 20 to 30 minutes. It is an integration at the hardware and software levels, of Research International's proven SASS 2300 wetted-wall air sampler technology and the RAPTOR four-channel bioassay system. 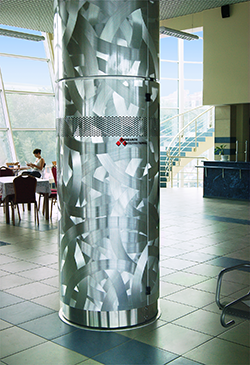 ASAP V system installed in Kazan,Tartarstan bus terminal. Urban infrastructures worldwide are coming under increasing threat from vandals, gangs, and terrorists. The ASAP V for Critical Infrastructure Protection is a modular, multi-sensor surveillance system designed for subways and other high-value/high-risk areas. Sensor modules are available that can detect a wide range of threats, from the presence of nuclear, biological and chemical agents, to smoke and fire. The BioHawk Plus combines a highly efficient, high-volume aerosol concentrator (SASS 4000) with an 8-channel collector/bioidentifier system (BioHawk). 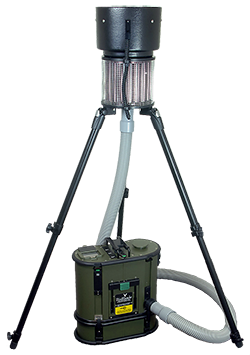 This system concentrates particulates from ambient air then passes it on to a wetted-wall air sampler that extracts the particulates from the air stream into a liquid phase. The liquid sample is then automatically analyzed by fluoroimmunoassay. The SASS 4000 Plus combines a highly efficient, high-volume aerosol concentration device (SASS 4000) with a portable multi-stage wetted-wall cyclone air sampler (SASS 2300) that extracts particulates and water-soluble chemical vapors from the concentrated air and transfers them to a liquid phase for later detection and analysis. 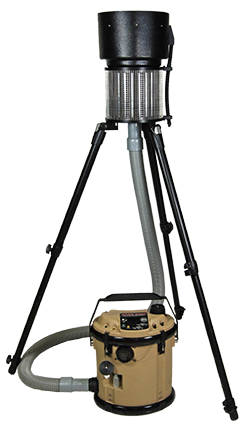 The SASS 4100 Plus provides total sampling capability by combining Research International’s highly efficient, two-stage, dry filter-based aerosol collection device SASS 4100 with our SASS 3010 Particle Extractor. The system can be used for many applications requiring the collection and later analysis of airborne particulates, including: counter-terrorism, epidemiology, agriculture, food processing air quality and medical facility air quality. Research International’s Remote Sensor Node is a portable CBRN monitoring device suitable for the detection of toxic gases, aerosolized biological agents, and nuclear materials. Some sensors are mounted within its tough cylindrical aluminum shell of 20 cm diameter and 1 meter height, while other sensors, such as video or thermal IR cameras, can be connected to the node via wireless. Research International, Inc. is partnering with the Russian company ENICS to offer the world community unmanned aerial vehicles (UAVs) with integrated CBRN capability. These systems offer the user new levels of capability and flexibility. Most CBRN detection devices are point sensors — that is, they provide target detection and identification at one location. This can be mitigated to an extent by mounting the sensor to a person or vehicle, but in either case travel is limited to the area accessible by foot, vehicle, or boat. 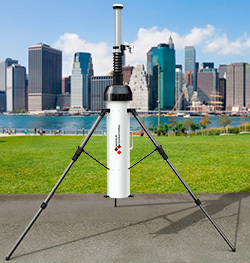 Typically the only solution for wide area monitoring is to deploy a sensor array, locating them at what are hoped to be optimal points as determined by average seasonal or yearly weather conditions and local topography. Research International has developed a pioneering UAV-based product called the "Flying Laboratory" that has full CBRN monitoring capabilities. A second-generation ion mobility spectrometer (IMS) is mounted onboard to provide toxic gas detection. Up to 20 chemical warfare agents and toxic industrial gases can be detected at part per billion to part per million concentrations. 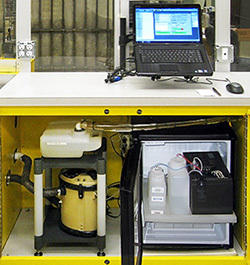 A UV particle fluorometer is used to detect any unusually high biological aerosol levels, and a gamma spectrometer is used in combination with two Geiger counters to detect and identify nuclear materials and monitor radiation levels. One of the Geiger tubes is used for monitoring general background radiation levels, while the second, capable of detecting either alpha, beta or gamma radiation, is mounted so that it monitors radiation emitted from particulates captured by an aerosol sampling filter included in the payload.